Cleaner designed to loosen baked on bugs for easy removal with high pressure. Westley's foaming tire & engine cleaner. Apply to tires and engine allowing time for the cleaner to penetrate before using high pressure to rinse off. High foaming soap with excellent lubrication to scrub away stubborn dirt & road film. 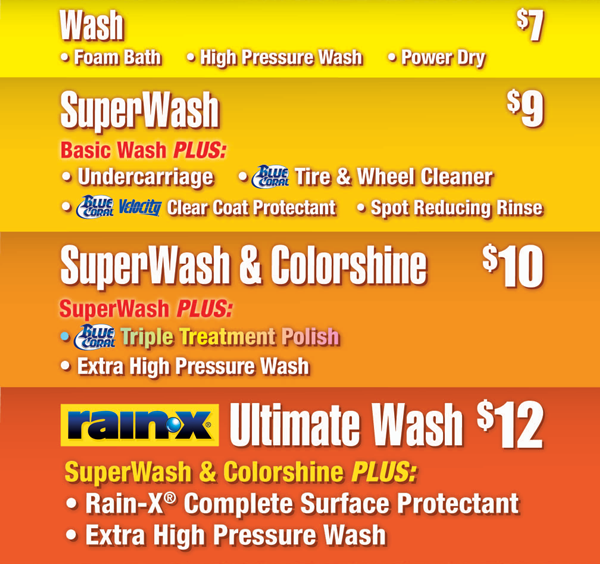 Special formulated soap used in conjunction with hot water to remove dirt & road film. Blue Coral product specially formulated for today's clear coat finishes. Treated water using reverse osmosis (same process used in bottled drinking water) that removes minerals and particulates that cause spotting.